Description: This project involves the supply and installation of a travelling water screen and trash conveyor including trash rack. 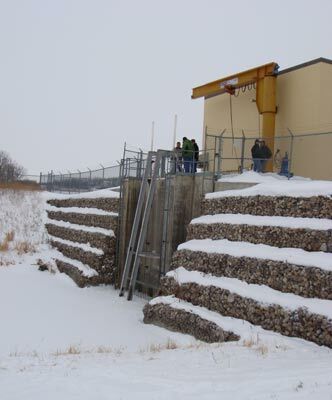 In order to install the water screen and related trash components, concrete structural extensions are required to the existing forebay. Trevcon will be required to construct a cofferdam and conduct fish salvage and dewatering operations in order to begin construction of the structural extensions.